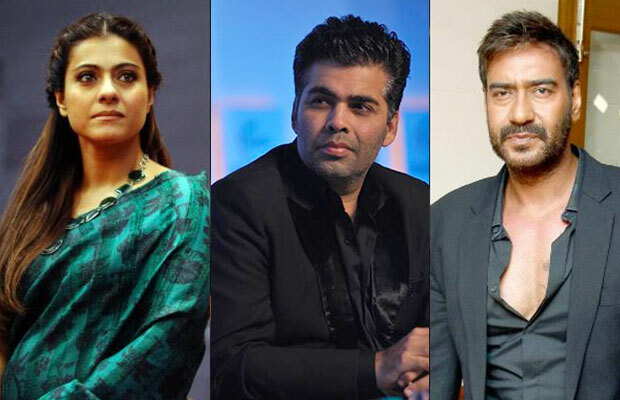 Did Karan Johar Miss This Event To Avoid Kajol? Karan Johar and Kajol’s friendship has been one of the longest and strongest friendships in Bollywood. It was with Kajol, KJo made a debut as a director, with the film Kuch Kuch Hota Hai. They’ve been on each other’s side in every ups and down of their lives. Well, looks like there’s now a huge crack in their friendship now. The reason is quite obvious as Karan’s film Ae Dil Hai Mushkil is clashing with Ajay Devgn’s Shivaay. Both the films are huge and are important to them. Kajol had to choose between her friend and hubby, and quite obvious she’ll stand by her husband. Also, the recent KRK controversy has ruined the bond between the two. Well, looks like everything is really not well between the Karan and Kajol. Recently, Kajol attended Indian cricketer Yuvraj Singh’s ‘YouWeCan’ fashion line launch event. Karan was also invited for the same. Many other celebs like Deepika Padukone and Amitabh Bachchan attended the event. Well, when the pictures came out, Karan was seen nowhere in the event. He, in fact, tweeted that he’s attending the event. Karan tweeted, ‘Attending the grand event by @YWCFashion. So proud of you @YUVSTRONG12. I wish you all the luck for this new venture’. Looks like he missed out the event as he wanted to avoid any awkward contact with Kajol. Or there might be some other reasons too. But, one cannot deny that there’s some problem in the equation between KJo and Kajol. Previous articleEXCLUSIVE: Katrina Kaif’s Reaction On Ranbir Kapoor-Aishwarya Rai’s Ae Dil Hai Mushkil Teaser!